Sony Network Entertainment International and Sony Computer Entertainment (SCE) have unveiled PlayStation Vue, a cloud-based TV service that Sony says “reinvents the television experience”. 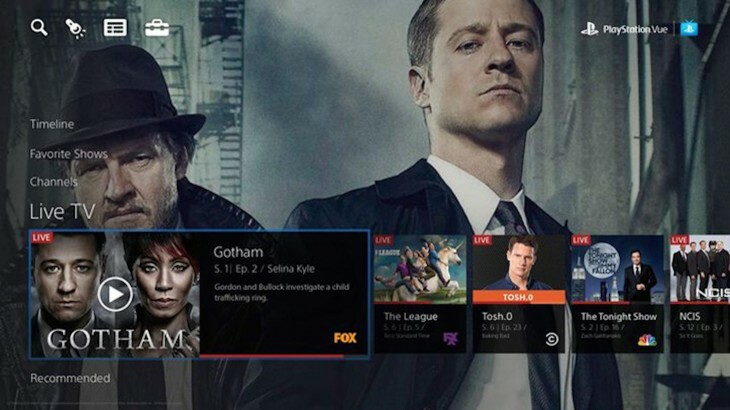 According to Sony, PlayStation Vue leverages the power of the cloud to combine the live, on-demand, and catch-up TV content viewers love with a powerful user interface that delivers unprecedented personalisation and simplicity. CBS – At launch, PlayStation Vue will offer the live linear signal from CBS Television Network’s owned-and-operated TV stations in select leading markets in addition to on-demand prime-time programming. Pricing and packaging details will be revealed at commercial launch but according to Sony, PlayStation Vue is “changing the rules for how people pay for subscription TV”. PlayStation Vue will begin an invite only beta preview during November for select PlayStation 4 and PlayStation 3 owners, with a phased roll-out starting in New York followed later by Chicago, Philadelphia, and Los Angeles. The service will also become available on iPad shortly thereafter, and later on more Sony and non-Sony devices.